As a nonprofit Supportive Living Community Friedman Place relies on support from the community to help us provide activities, programs and ‘extras’ that make our PLACE a home. Financial contributions to Friedman Place are tax-deductible. Many employers will match their employee’s charitable contributions, it is worth asking your Human Resources if your company has Matching Gift Program, these programs are opportunities to make your gift go even further! Bequests have been an important source of support for Friedman Place. Many loyal friends have found that a bequest is a relatively easy way to ensure the future for our residents. There are several ways to make a bequest or gift through your will to Friedman Place. The provision you choose will depend upon your circumstances, what type of property you wish to bequeath, and your other obligations. SPECIFIC BEQUEST: You bequeath a specific sum of cash or other property for a program you name or for Friedman Place’s use where most needed. RESIDUARY BEQUEST: In this case, you bequeath a specified percentage or all of the assets remaining in your estate after other expenses and bequests have been paid. CONTINGENT BEQUEST: In this case, you direct that a specific amount or a percentage of your estate be paid to Friedman Place, only if your other beneficiary(ies) does(do) not survive you. You may wish to give Friedman Place a gift of securities, including stocks, bonds, or mutual funds that have appreciated in value, or a gift of land or buildings. Gifts of publicly traded securities and real property provide you with a double tax benefit. First, you can avoid capital gains tax and, second, you can receive a charitable income tax deduction for the full fair market value of the gift. 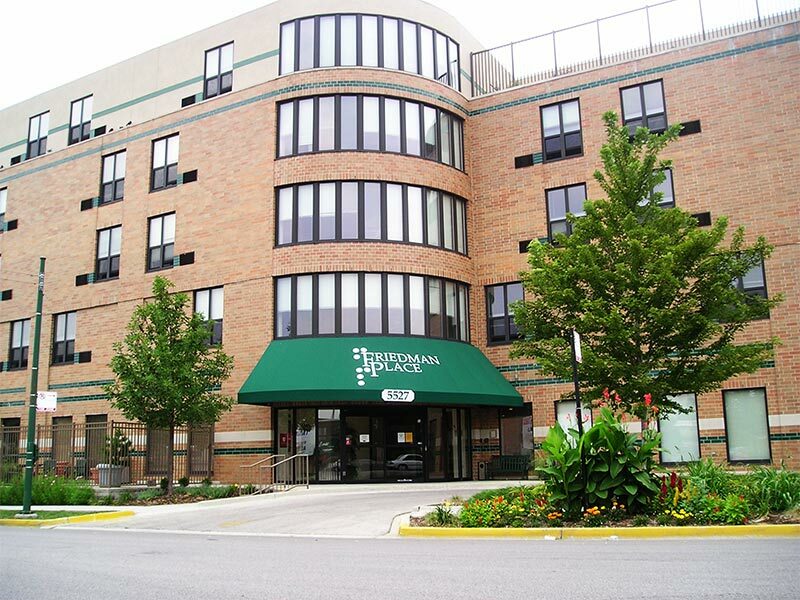 There are several ways to make a gift to Friedman Place, and receive income payments for life. CHARITABLE REMAINDER TRUST: Allows you to name one or more beneficiaries to receive income for life or for a term of years, after which the trust assets revert to Friedman Place. CHARITABLE LEAD TRUST: Allows you to provide income to Friedman Place for a specified number of years, after which the trust assets revert to your heirs. This plan provides a unique means of passing assets to your loved ones while significantly reducing estate taxes. Friedman Place can provide you with information on any of these and other planned giving vehicles. We can also refer you to an independent professional for assistance. Please contact the Development Office: 773-989-9800.